This is a simple ceiling fan regulator circuit diagram tutorial. It is used to control the speed of a ceiling fan. In the other words it is an AC motor speed controller circuit, as because it's control the speed of a AC motor(Ceiling Fan). This ceiling fan regulator circuit built with few numbers of parts. The circuit mainly based on Z0607 TRIAC. 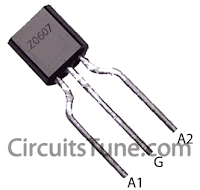 This is a low power AC semiconductor device. Generally which is used to controlling speed of low power ac motor speed. In this ceiling fan regulator circuit, R1=500KΩ is a variable resistor that is used to adjust the fan speed. 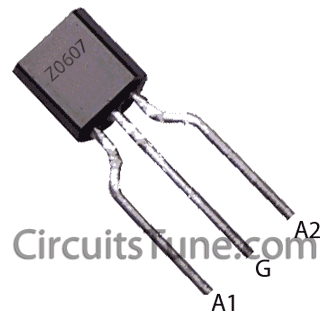 Capacitor C1 2A104J is a Polyester film capacitor. C1 = 2A104J -Polyester film capacitor. is this working? i can't simulate it bec there are no triacs and diacs on the simulator. thank you. Yeah, of course. Try it just once. may i know how the circuit exactly works and can you estimate the speed?if yes how? I have try Movable type regulator but speed is not fixable most time auto increasing in speed not like Step Type regulator. I'm glad to hear that its works fine for you. Yes this is not a Step Type Regulator anyway. Thanks for your feedback. Tell specifically about your little one motor. Can you give component values for 110 volts/60 Hz AC? What is the value of the capacitor in microfarads? 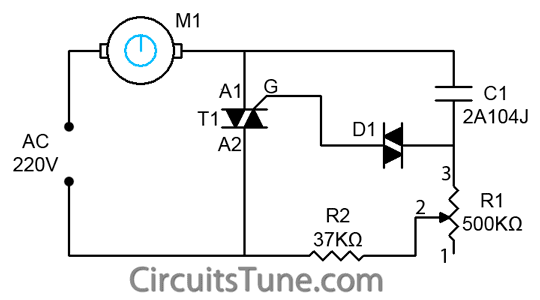 This regulator circuit will also works on 110s Lets do a experiment and see how you can control your fans speed. Yea you can use this regulator with mini drill/motor. i need to control a fan with an arduino and i was thinking that maybe i could use your citcuit adding a photocell while keeping the potentiometer for sensibility control. also could i change the Z0607 by a BT137 instead ? if so, should i modify any value in the rest of the circuit ? So you want to control a fan speed with arduino ? Well, then you need to modify the circuit a huge. 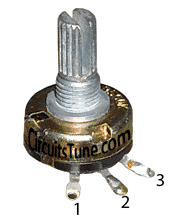 First, Instead of variable resistor you can use LDR. But if available. I have no idea about if 220v LDR is available or not. 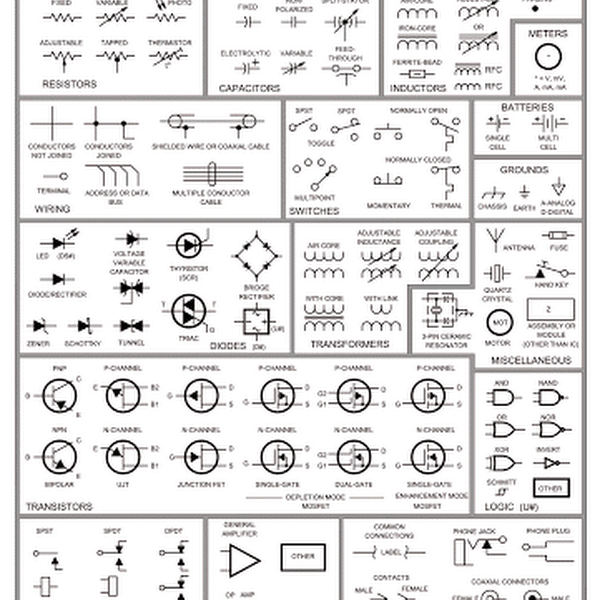 Check datasheet of Z0607 and BT137. you will find your answere. Try to build in your way you think. and don't forget to share with us about the result. another question: where goes pin 1 of the potenciometer ? In this circuit we haven't used PIN-1 of the potentiometer. As it is not required. we just need two pins, pin 1,2 or 2,3.
how much watt resister are used 1/2, 1 ? There low current resistors are enough. 1/4W Resistors will do enough.